Did you know that 1 out of 5 kids live in homes without food? And 21 million kids depend on school lunches for daily nourishment? Pretty grim statistics coming from a wealthy country like America. It’s one thing to see it happening, (3 out of 5 elementary teachers notice hungry students.) quite another to live it. Like Oscar nominated actress Viola Davis, who reveals what going hungry forced her to do. Now The Help actress is using her celebrity to change the script on childhood hunger. 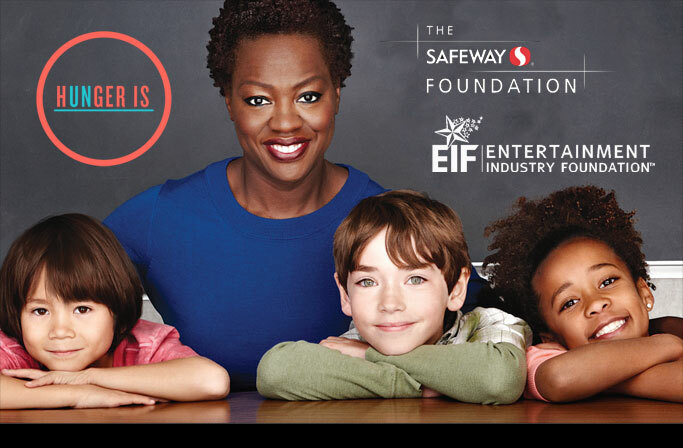 Viola is the ambassador of The Safeway Foundation’s Hunger Is charitable effort. The goal is to raise awareness for hunger prevention and donations to programs efforts to end childhood hunger (ex. No Kid Hungry, Feeding America and Food Research and Action Center). Safeway shoppers in the Bay area can donate at their local store or by clicking here. And if time is all you can afford, click here to volunteer at Hunger Is event in your area.